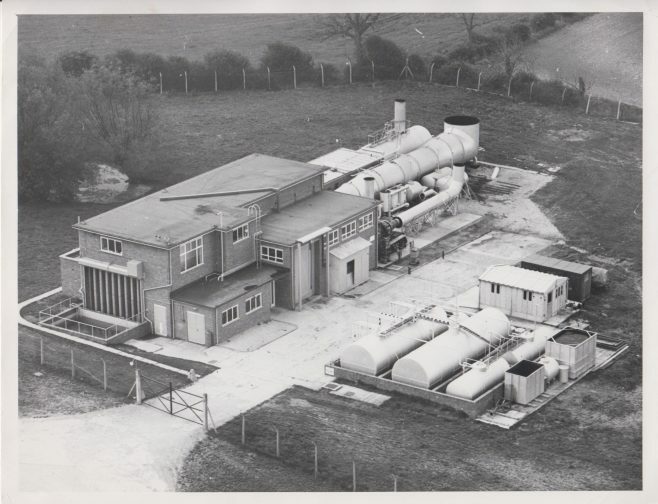 The Dowty Fuel Systems Jet Test Cell at Staverton was where Dowty tested their fuel systems on the Rolls Royce Engines such as the Spey, Pegasus or Olympus jet engines. Originally constructed in 1956 for Dowty Fuel Systems Ltd. the Jet Test Cell Facility replaced an earlier open-air facility on the airfield. 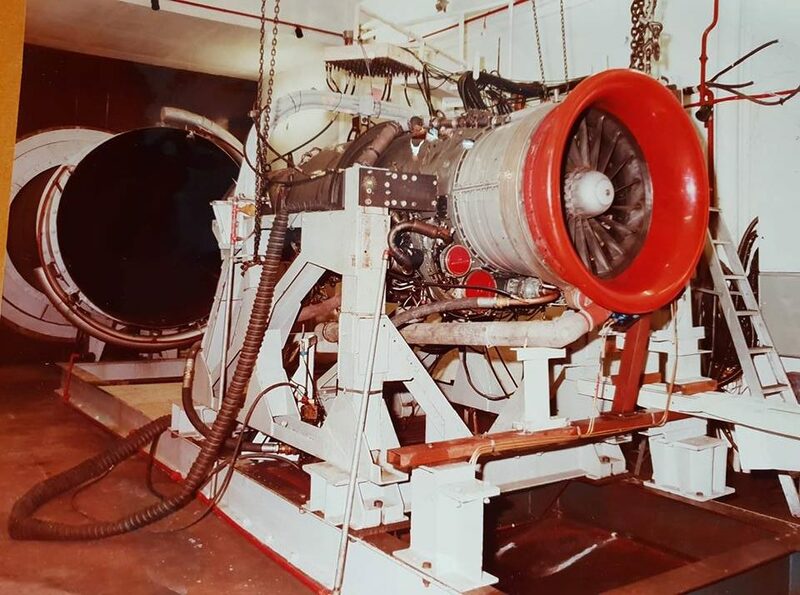 Its original use was for experimental & development testing of engine fuel pumps & controls. 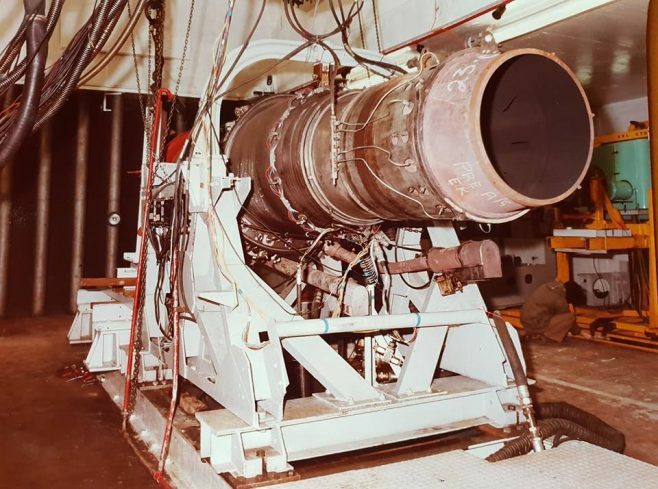 By the mid 1960’s, the engines in use were the De Havilland Ghost & Gyron Junior, Armstrong Siddeley Sapphire, & Bristol Olympus when Dowty Fuel Systems won the contract to build the reheat control system for the Rolls Royce RB168-25R Spey engine. 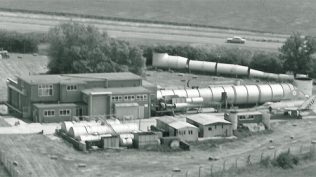 Gloucestershire Jet Test Centre (GJTC) was formed in 1997 and took over the operation of the test cell facility. An ex. 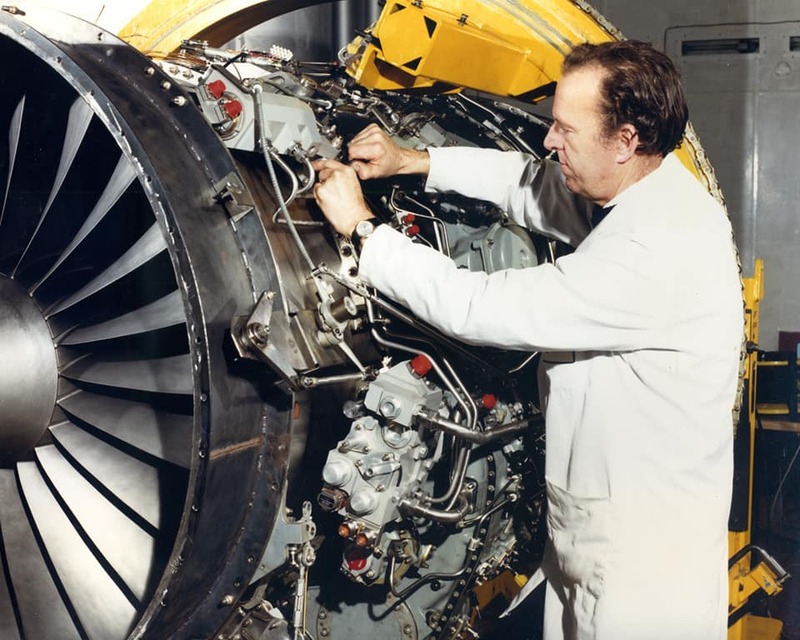 Dowty Apprentice (John Redfern 1969) recalls his experience while working there. 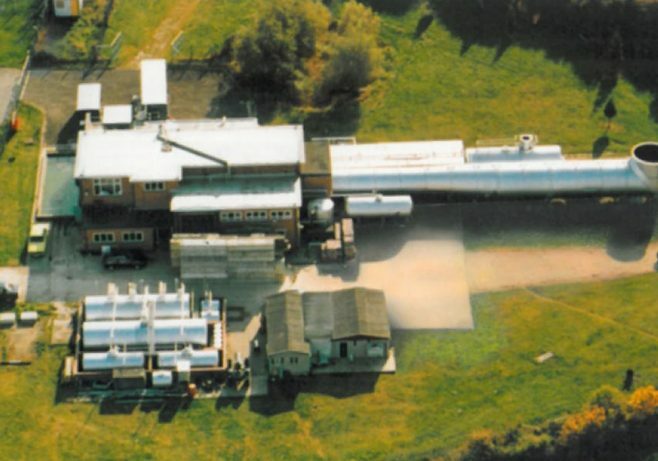 I remember as an apprentice how lucky I was to experience such a facility… on one occasion that I was there… the Test Engineers put the Olympus engine (which were fitted to Concorde) into reheat… the noise was deafening, waves visibly formed on the acoustic pond outside, which were installed to absorb sound, the ground literally shook, with flames seen coming from the Cullum Detuner flue… absolutely amazing!!! During the late 50s and early 60s I spent much time at the test cell. I was initially involved with tests using the de Havilland Ghost as the test vehicle and this was mounted on a stand outside at the back of the cell. 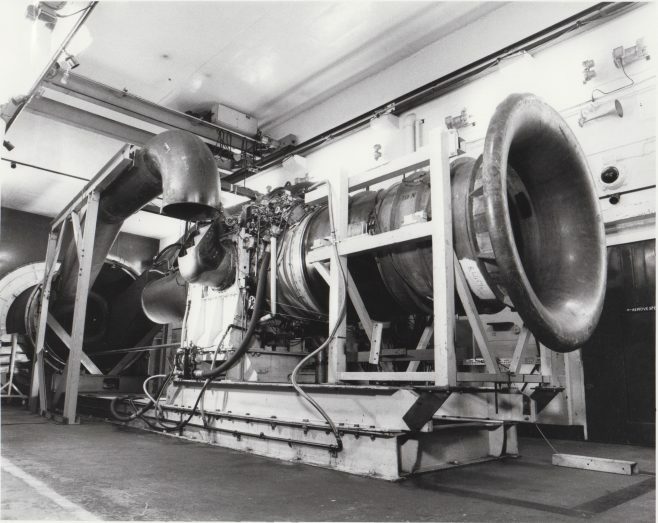 Later, I was also involved in test work on the de Havilland Gyron Junior PS43 system developed for the Buccaneer. on this engine I recall testing an experimental all speed mechanical governor, a later development of which was later used on the first BS Pegasus system. In those days H & S had not reared its head. 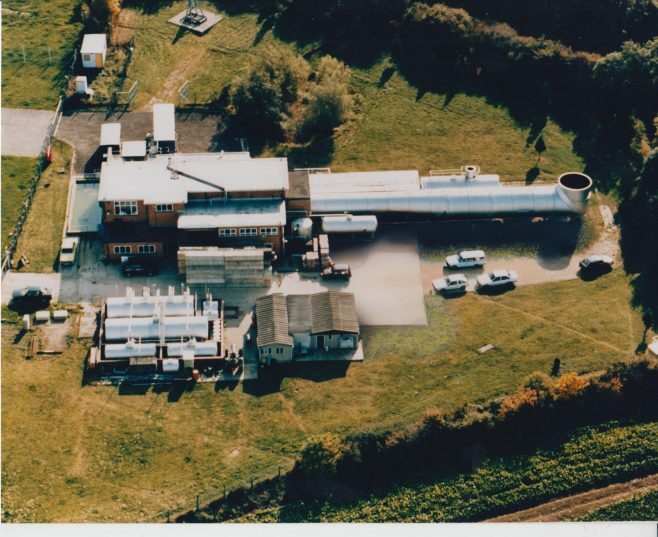 As a result I remember actually going into the cell and adjusting the range stops with the engine running!! 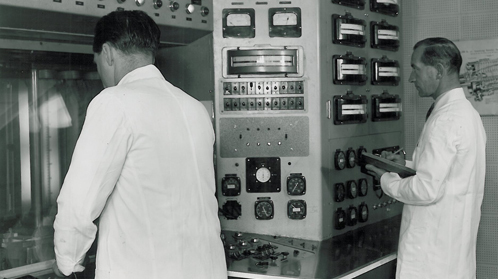 Well, it saved having to shut down and go through all the rigmarole of restart – we argued! The test cell supervisor was Trevor Toft and I recall he was a lovely chap and a delight to work with. I believe he is no longer with us. 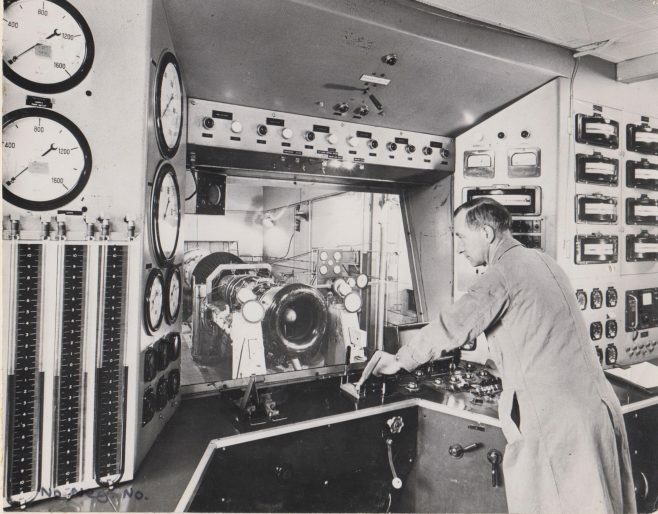 I recall he was very put out when he was asked to test the first imported propulsion unit for small power boats. 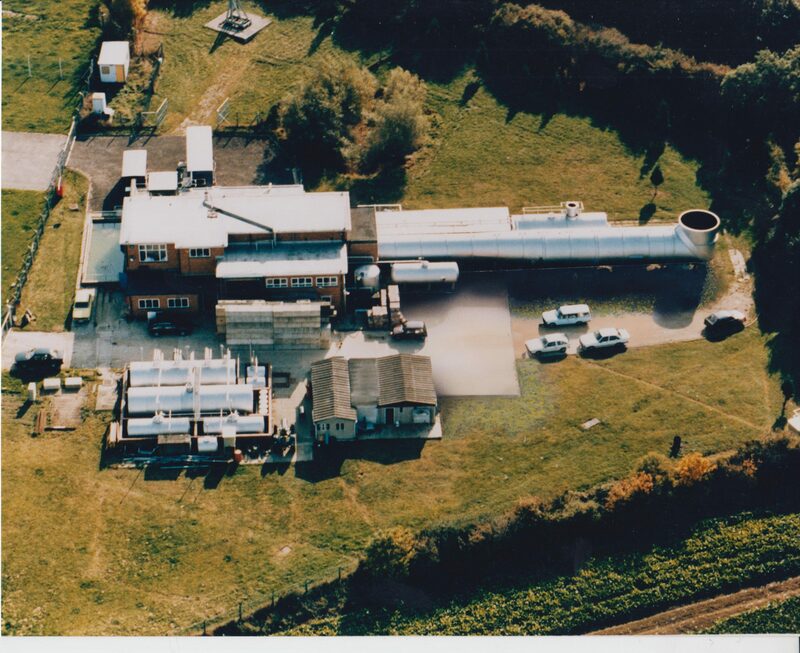 The tests were conducted in the pond in front of the test cell splitters by a member of the development staff from DFS.